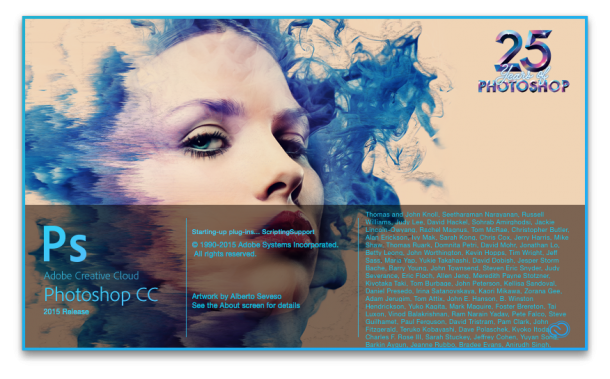 The swanky new slash screen isn’t the only thing that’s changed in Photoshop CC 2015. 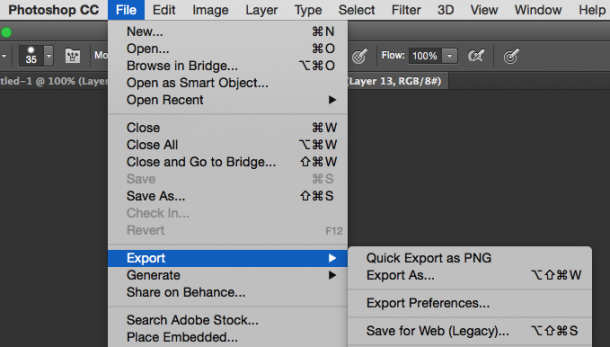 One of those functions that I use probably THE MOST in Photoshop is File – Save For Web. 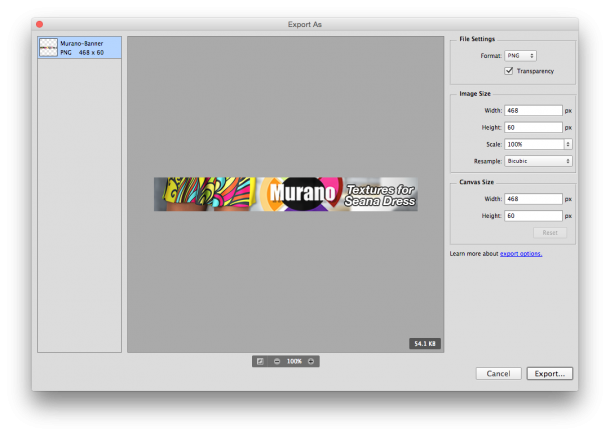 It’s been around for ages and means that you can quickly create a flattened JPG or PNG of your otherwise well-stacked and complicated image. The geniuses at Adobe recognized that the term “save for web” probably doesn’t describe accurately what we’re doing anymore, so they’ve moved this function to File – Export – Save For Web (Legacy). Thankfully they did not take it away! You’ll be pleased to hear that the keyboard shortcut CMD+SHIFT+OPT+S (the worst ever keyboard combination ever – which is why I’ve mapped it to one of my Intuos buttons – WAAAAAAY easier to remember). While this comes as a bit of a shock to long-term users, Adobe has added a new version of the Save For Web dialogue, accessible from File – Export – Export As. This will let you do pretty much what Save For Web did, without the gazillions of options we never really used. An even easier implementation (without any default keyboard shortcut mind you) is File – Export – Quick Export as PNG. Without any options or settings, this will simply save your current well-stacked file as PNG in the same resolution as the original. You can’t resize the image with this option, but you can with Export As – just like we could with Save For Web. One thing I did notice is that these new export options come with a bit of a performance penalty: my system about two seconds to bring up this new Export As dialogue. Safe For Web (Legacy) on the other hand opens instantaneously. Let’s just remember that “newer” isn’t always synonymous with “better”. Thanks for sharing the link, Jeppe!